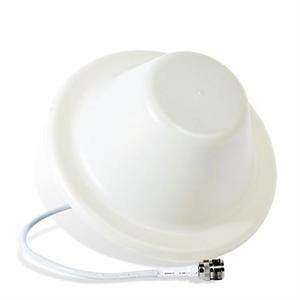 Dual-band 698-2700MHz 3dB ceiling mount antenna for amplifier/repeater systems. Compatible with Cellular, PCS, LTE, AWS and iDEN (Nextel, Southern LINC, Mike). This antenna is designed to be used as the interior antenna in an amplifier/repeater (wireless) system. It is not a standalone item and is not designed to be directly connected to your phone. High gain, directional Wide Multi band cell phone antenna - for 700MHz LTE, 800 850MHz Cellular and 1900MHz PCS, 1700 2100 AWS, 800 900MHz.